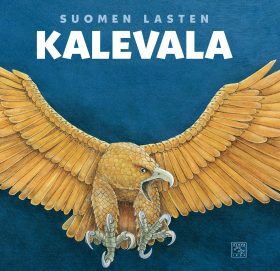 In this book, based on the Finnish epic of Kalevala, folklores are modified into thrilling and eventful stories retold for children with a clear and modern language. These stories have been told and sung for centuries in Finland. They have been heard by people of all ages and when there were no books, the best storytellers knew the poems by heart. These stories will not be forgotten. Children’s Kalevala contains all the same adventures as The Kalevala, but the stories are told with a more direct approach. The book is enriched by the wonderful artwork of artist Pirkko-Liisa Surojegin.